While we may have already seen the front of the Galaxy S10, more leaks have rolled out revealing the front and back of all three rumoured variants, along with the materials they’re made of and more. First up, leaker Evan Blass (@evleaks) shared a picture of the fronts and backs of the S10E, S10 and S10+ in cases. It’s not clear what the ‘E’ stands for, but that model is widely believed to be the ‘lite’ version of the S10. Previous leaks have pegged the screen sizes of the three S10 models at 5.8-, 6.1- and 6.4-inches respectively. While this leak doesn’t reveal screen sizes, the three variants seem to follow that sizing pattern. Further, you can see the S10E has two rear cameras and a hole-punch front camera. The S10 model appears to have a triple camera set-up on the back and a hole-punch camera cut-out on the front as well. Finally, the S10+ also looks to have a triple rear camera and a dual-camera hole-punch on the front. 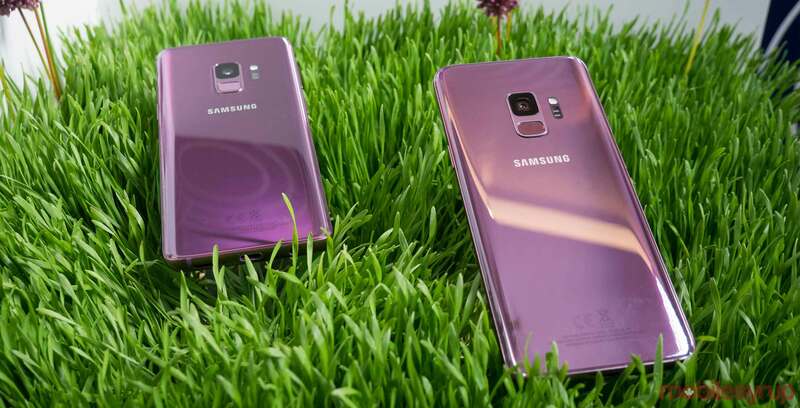 While the pictured devices look like the regular black models, a report from SamMobile says there will be an S10+ model with a ceramic back. According to the report, which was confirmed by leaker Ice Universe (@UniverseIce), Samsung will have a special ceramic variant of the S10+ with 12GB of RAM and 1TB of storage. Further, the material will make the device more scratch resistant and drop resistant. This is partly due to the durability of ceramic — which is slightly lower than diamond and sapphire on the Mohs scale of hardness — and partially due to Samsung’s unique manufacturing process. Finally, the material will reportedly have a metallic lustre. While it won’t be the first smartphone with a ceramic back, it’s good to see the material come to more devices. I think its a smart choice, considering how easy it is to break glass. To cap off the S10 leaks for this week, a benchmark score for the S10 with an Exynos 9820 SoC and 6GB of RAM has surfaced in the Geekbench database. 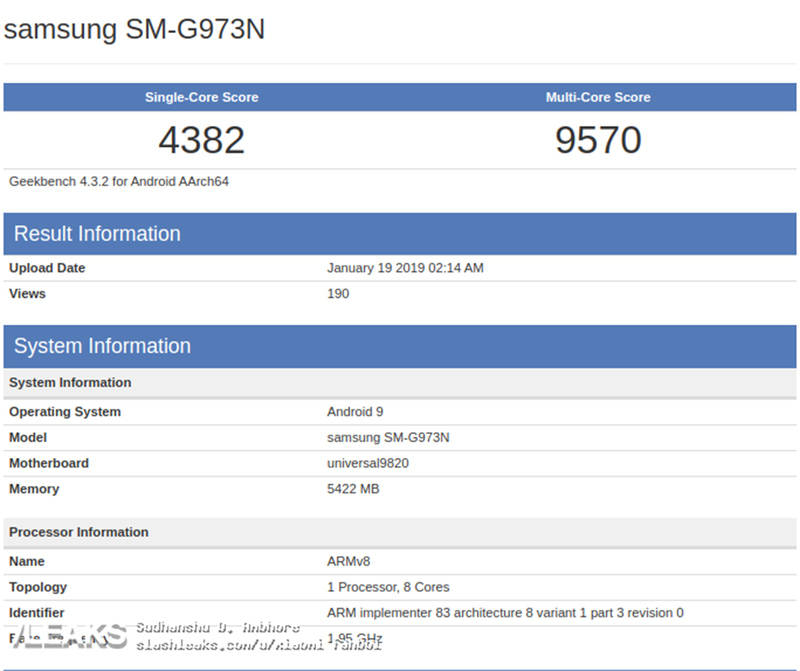 SlashLeaks posted a screenshot of the Geekbench page, showing a single-core score of 4382 and multi-core score of 9570. Compared to the recent Geekebench leak of the Snapdragon 855 version of the S10+, it looks like the Exynos is a bit faster in the single-core department, but not quite as fast in multi-core. Overall, the chipsets are relatively well-matched. Ultimately, the S10 leaks continue to paint a picture of a stunning new device from Samsung. While it’s important to take all this information with a grain of salt, some things have consistently leaked, suggesting the information is accurate. However, Samsung will reveal all on February 20th.